Do you have one month of the year, that is overwhelmed with celebrations? May is that month for us. We have had up to seven birthdays and two holidays, that we would celebrate. How do you deal with it all? We eat a lot of cake!! Seriously! Now a days, the birthdays have been cut in half and we still have the two holidays but that is still a lot of cake and gift giving. Even though as the years have gone by and the gifts don’t seem to be as many. I got to thinking about the gifts that we receive from God. Mine is one of those birthdays and since my mom passed away, I have had to adjust to receiving less and dealing with the disappointments. I know that sounds selfish, but I have been learning how to turn all of that into blessings. Which takes us back to what I was thinking about God and the gifts I receive from Him. Love – His unfailing, never-ending love. Grace – Not just the grace that He pours over me daily, but the grace needed to give to others. Peace – When things don’t go the way I think they should go. He fills me with His peace to accept that, Yes! He has all things under control. Mercy – His loving kindness is abundant. Wisdom – His divine understanding is poured out as I need it. This just a few, there are so many more and I am thankful for each and every one of them. No matter what I receive or what I give to others, His gifts can make life celebrations a joyous and blessed event. Human nature will tell us that we deserve more, we deserve to be recognized and felt worthy. But the truth is, we are already all of that and so much more to God. We just have to rest in Him and accept His truths about us. 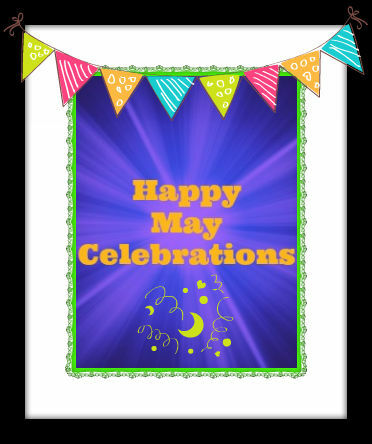 So these May’s celebrations will be different and we can Rejoice and be Glad in them, for they are the days that He has made. This year, I am approaching my birthday in a different way. Sorry ladies I won’t be in church that night, I will be with my family. During the day, I will be lavishing in the beauty of what God has created and enjoying the gifts God has given to each and every one of us.